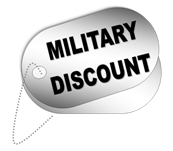 will help you find the door you want at the best price available. money and have longer Warranties then New Doors or Openers. and Garage Door Opener. 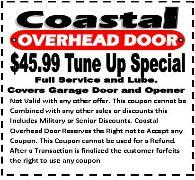 We do our best to save you money! 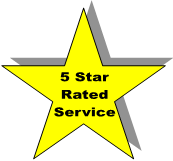 few I can count on for Great pricing and quick professional service. Withicomb Homes llc. Company Reviewed: Coastal Overhead Door of Navarre & Gulf Breeze. 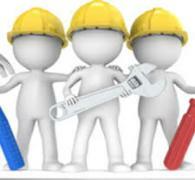 Type of Service: Garage Door Repair and Replacement. 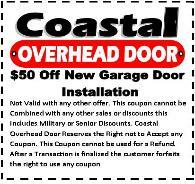 Coastal Overhead Door was Rated 5 Stars with 10 Votes in Pensacola - 6 votes in Navarre - 6 Votes in Fort Walton Beach Fl. ask for it. Star five. Professional company. 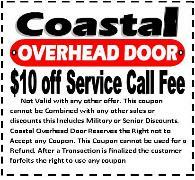 I am very happy with my service and will use Coastal overhead door for all my future garage door repairs. 5 star company all the way. The garage door repair guy was very professional and explained every detail to me. I will use this company again. 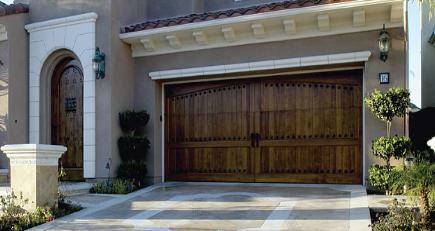 We Service, Repair, and Install Garage Doors and Garage Door Openers.